The inception of this Best of Beauty series actually came one day when I tweeted out to ask for some new lipstick recommendations. Right at that same moment I was sitting there, Vera had tweeted out something about another makeup product and we got chatting about doing this series. Because I find my best beauty products from recommendations from friends and not just something I randomly walk into the store to buy without trying out. But today’s feature is one I bought online without testing and I love it so I had to share. 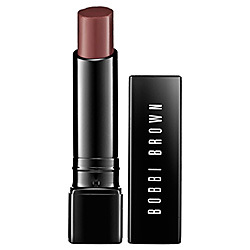 I ordered this Bobbi Brown Creamy Lip Color ($23, Sephora.com) in Heather Buff and I love it. It’s really creamy going on and applies nicely. I can’t stand lipsticks that you feel are dry or take awhile to apply just right. This one seems to not only moisturize but it stays on longer than any other lipstick I own. Love it. I want to try the Rose Brown shade next! Ok – I need to give that a try! I normally hate lipstick, but that sounds fab! When you click over to the Sephora link, they have many color options but not the one you mentioned. Summer, no way! I swear it was there when I wrote this review up. I wonder if they pulled it. When I get home I’ll try and find it online and change the link b/c that’s no good. Thanks for catching that. blog and wanted to say that I have really loved browsing your blog posts. In any case I_ll be subscribing on your feed and I’m hoping you write again soon!